← Get Paid to Blog! Can You Really Earn Income Online with Fiverr? That is a pertinent question! 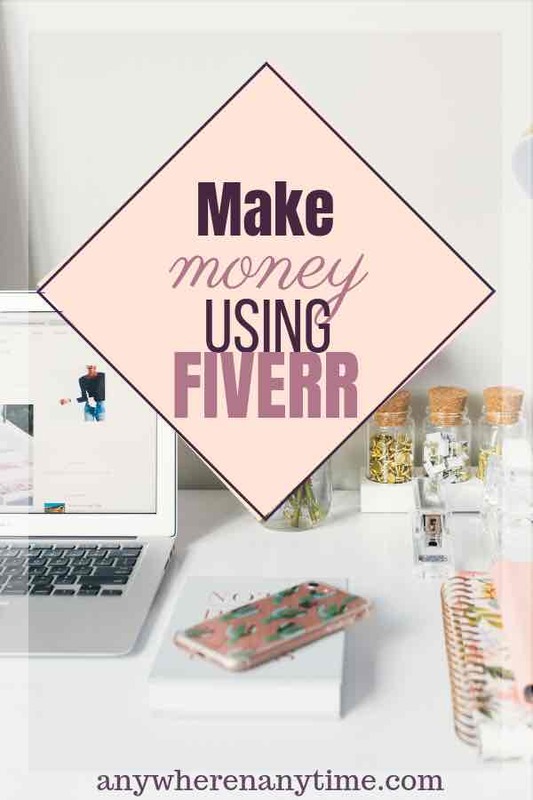 I’ve heard a lot of conflicting answers about whether you can earn income online with Fiverr or not. So I joined to find out. And now I’ll say, “It is possible.” But… you do have to spend some time to study the site and do some reading – there is a learning curve. If you are creative and put in the effort, you can get results. So the more relevant question is then, will a stay-at-home-mom who doesn’t have a lot of free time, be able to make money on Fiverr? The answer is still yes. And your next question… but how? 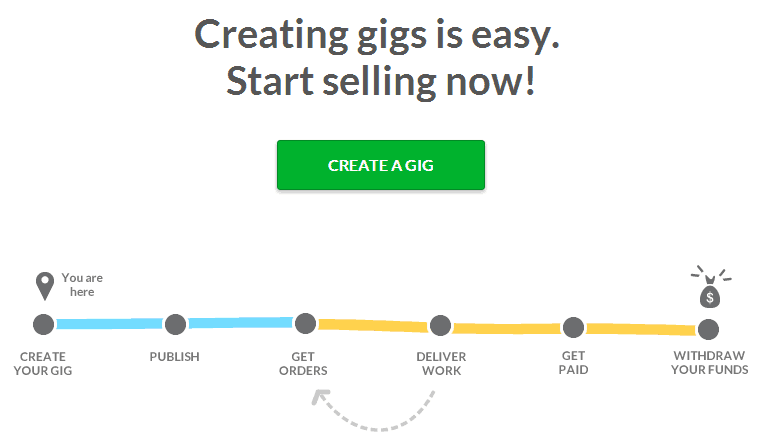 Simply put, Fiverr is an online platform where people buy and sell services (and some products) called gigs starting at $5. The price can go up by increasing the complexity or speed of delivery of the gig, but the base gig is always $5. The gigs can be nearly any service you can think of – if it is something people need or want, they will go for it. The obvious categories range from writing or proofing to designing apps or webpages, from doing voiceovers or making short commercials to moving your website to another domain for you. But then there are also gigs like the one which offers to write a short message in the froth of a cup of cappuccino coffee. (That particular one had 1291 buyers at the time of writing this.) Talk about creative! The possibilities are endless. Fiverr is free to join. It has an active forum containing a wealth of information to help anyone get started. Though most of the tools to help you build your gig(s) and manage your business are self-explanatory, there is plenty of support in the form of information on the site and even more from other members. You create and publish a gig, you promote it, get clients whom you respond to in a timely fashion, deliver the gig to them and get paid. It is as simple as that. Well, simple means: you do have to create a gig people want, and promote it so that people find out about it so they can order it. But that is all part of the learning curve I mentioned earlier. Ready to ask questions and get help? Ready to organise the free moments you have to work towards a goal? Patient enough to get through the learning pains? Aware that it is not a ‘get rich quick’ scheme? Aware that it takes real effort? Aware that if you don’t have a lot of time, you can still reach your goal, it just may take longer? If your answers were all “Yes!”, then what are you waiting for? Head straight over to Fiverr, join and take a look around. Or if you would like a few hints first, then read this. I’m glad you found it helpful, Riaz. The thing is, even to become renowned you have to start somewhere! I’ve found recently that the Fiverr newsletters have a lot of good information in terms of getting a grip on things there. Great explanation of Fiverr!and it ties is so well with the name of your site. Great work and all the best in your adventure. I’m glad you thought it is clear. And the name of my site is a situation so many of us find ourselves in – the need to be able to act whenever and wherever we get the opportunity! Aiming towards it! I’ve always wondered just how this ‘Fiverr’ thing works! Great explanation and very well researched article. Thanks, I’ll bookmark your site and be back for more in the near future! I did too! I had heard some people rave about it and others trash it. So it was interesting to find out what it was all about and how it works. The fact is that it is like anything else that works – you still have to put in effort to get results. 🙂 I think that is what people conveniently overlook! 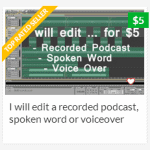 Fiverr is a great way to get things done for cheap. From having articles written to designing a new header for your website, they have a bunch to choose from. 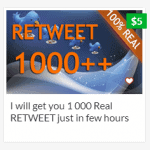 You can even become a seller on Fiverr and make money for something you can do for others. 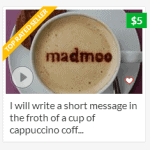 Yes, you can get things done cheaply at Fiverr. It is a neat place – for both buyers and sellers! Its actually a wonderful place for sellers to get inspiration too – just looking around at the different gigs gives you all sorts of ideas.